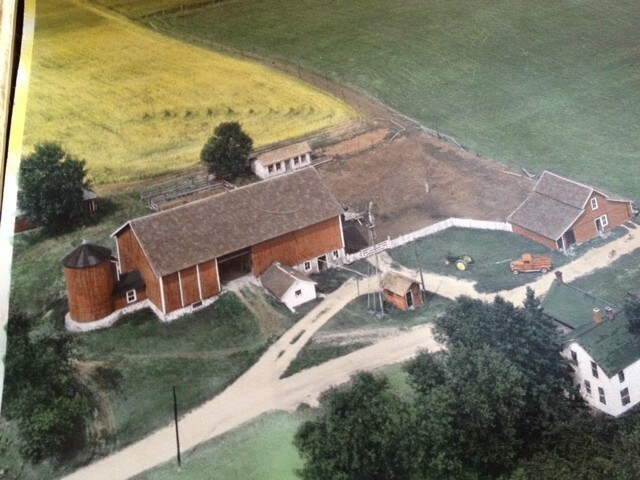 A memory from my childhood on a dairy farm is intriguing to me. I was probably about nine years old when I first started doing this one “small” but “critical” task. It happened during haying season. A four-wheeled long-tongued wagon would be driven from the hayfield into our farmyard. The hired man would then come to the door and call for me. It was my responsibility to take the grown man’s place on the tractor and back the wagon up the barn bridge so the hay could be unloaded in the hayloft. The barn bridge, which accessed the top floor of the barn, was secured on one side by a grassy slope and on the other by vertical cement blocks, which produced a twenty-foot drop into the pig pen. The margin for error in backing this heavy-laden four-wheeled long-tongued wagon up this bridge was inches. My dad trusted me to do it. For some reason, that I cannot defend, when Dad had demonstrated to me that, in order to accomplish this task, I need to start with the tractor at a specific place, back at an exact angle and maintain a consistent speed I did exactly that. Dad knew how it needed to be done and it never crossed my mind that I should try an alternative method or question his directions. I didn’t wonder at the time, but I wonder now, what these men must have felt like not being trusted to back this wagon and having to ask a young girl to do it. Dad knew he could trust me. I knew that when the wagon was on the barn floor my part of this process was done. Following Dad was not hard. How do I complicate following Jesus? This entry was posted in Thoughts and Reflections and tagged child, farm, prophet, trust, wagon. Bookmark the permalink. It seems to me that allowing God to be God of my life instead of me is a dying process that can be painful. No, IS painful. Doesn’t seem to be a once and for all sort of a thing, but an every day facing myself and deciding which way I’m going to go. When I think of it as a loss, it’s a loss. When I gaze at His loveliness, and focus on how He chooses to see me, the choice makes complete sense, and the loss seems easier to bear. In fact, it doesn’t seem like a loss at all! Aren’t we blessed, to have an all knowing, all powerful heavenly Father who chooses to relate to us out of His daddy heart? Absolutely, you can handle the tractor! No problem! One of the challenges of backing a four wheeled long tongued hay wagon is that the process is counter intuitive. It feels like you need to pull the steering wheel to the left in order to avoid a disaster but, in reality, if you do that the machinery will jack knife. Is it a matter of choosing to trust the One Who knows over what it feels like to me? Ah, yes, I think so. We call it the fight of faith for good reason.